Nikola Jokic is bonkers on offense, Jamal Murray is making a name for himself in more ways than one, and Denver stands at 9-1, the only team to beat Golden State thus far. 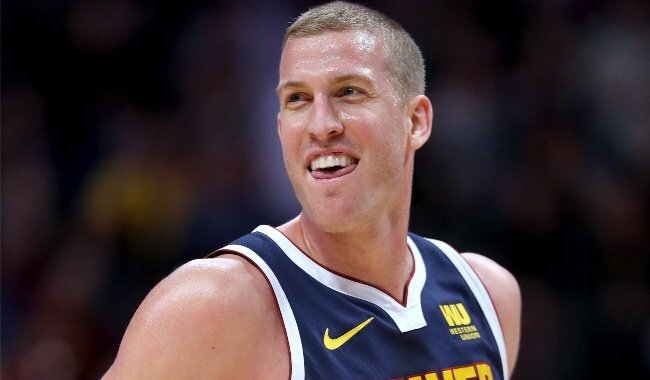 But the best part about the Nuggets remains Mason Plumlee throwing down reverse dunks like they’re going out of style. Plumlee has quietly had a very effective season for Denver, anchoring the second unit with the best defense of his career. He never plays with Jokic, but he still sports a plus-13.0 differential. He’s an excellent roll man and has learned to not play beyond himself as he’s grown in the league. And of course, he has a wonderful signature move, one which he has already whipped out six times this season (including reverse layups). Plumlee’s been doing this since he was at Duke, so it’s unclear why opposing teams are still powerless to stop him. Nevertheless, my favorite thing about watching Plumlee go up for a reverse is the defender resting for a beat, thinking that Plumlee is out of position, only to get burned because he finishes the play, anyway. It is a remarkable skill to score from an unconventional angle at high efficiency. It also looks super cool.